“HOWDY” from the beautiful high country of Northern New Mexico. We are glad you have visited our website so stay awhile, look around and check out all we have to offer. The V7 Ranch has a rich history and the people who live and work here have soaked a little of that up. We would love to have you visit us! When you do, we know you'll soak in a little of that richness yourself. Everyone who stays with us creates a little more of the ranch's history. 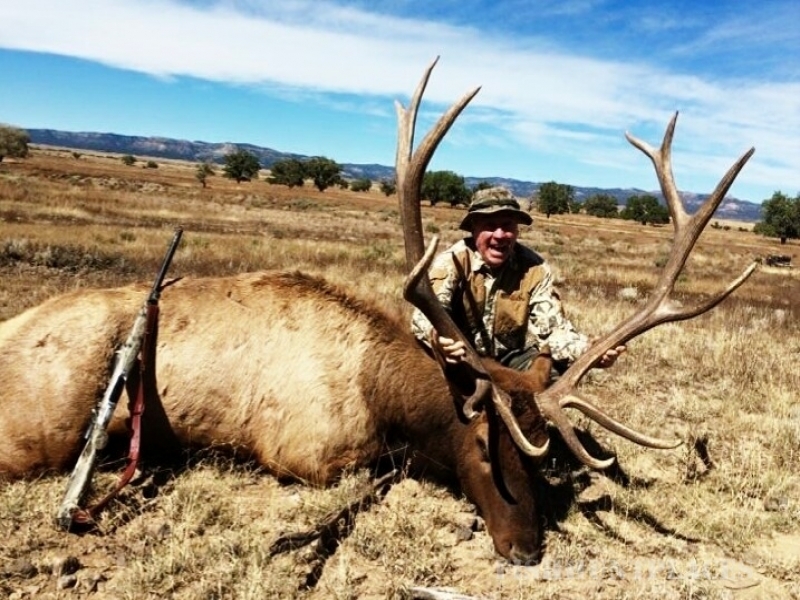 If you are looking for exceptional hunting or a genuine ranch experience, the V7 Ranch is the place for you! 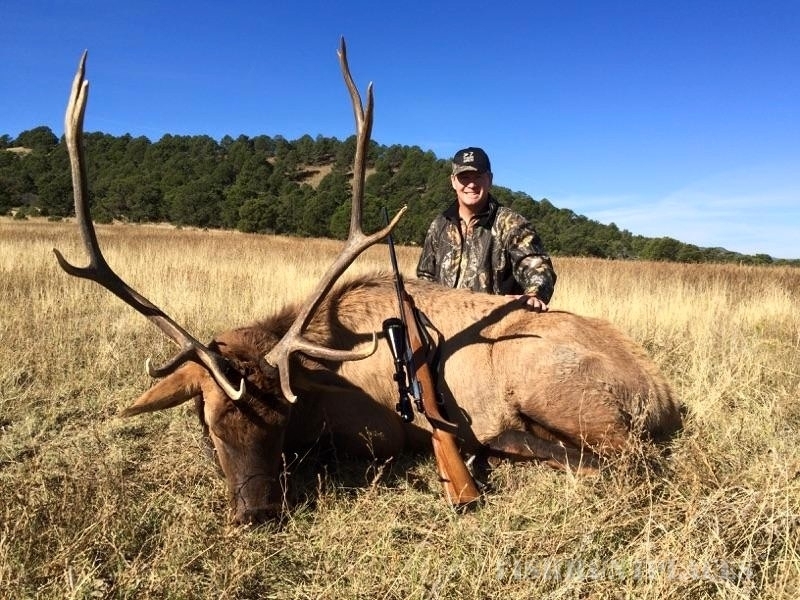 The elk hunts are any 5 consecutive days beginning the 1st of October and running through the 31st of December. 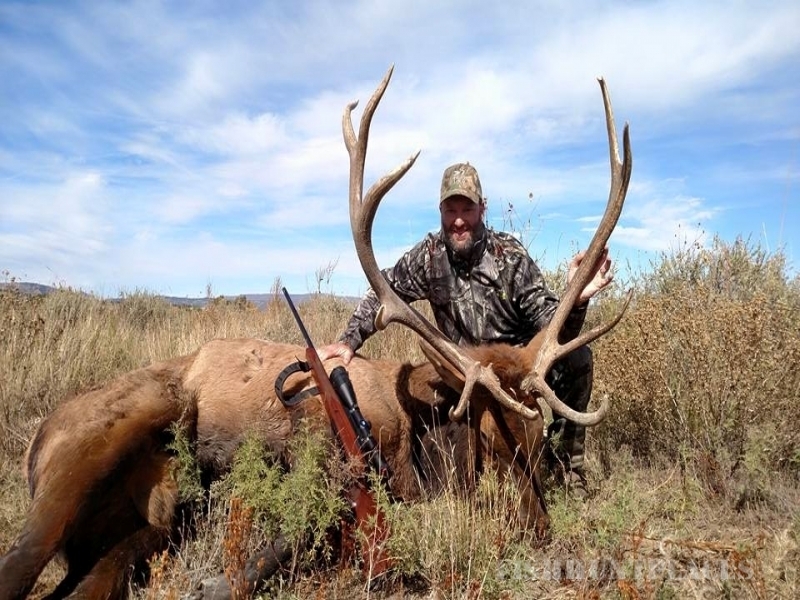 We have been 100% successful for an opportunity to harvest a 6X6 bull elk in the 280-330 Boone and Crockett class over all hunts offered. 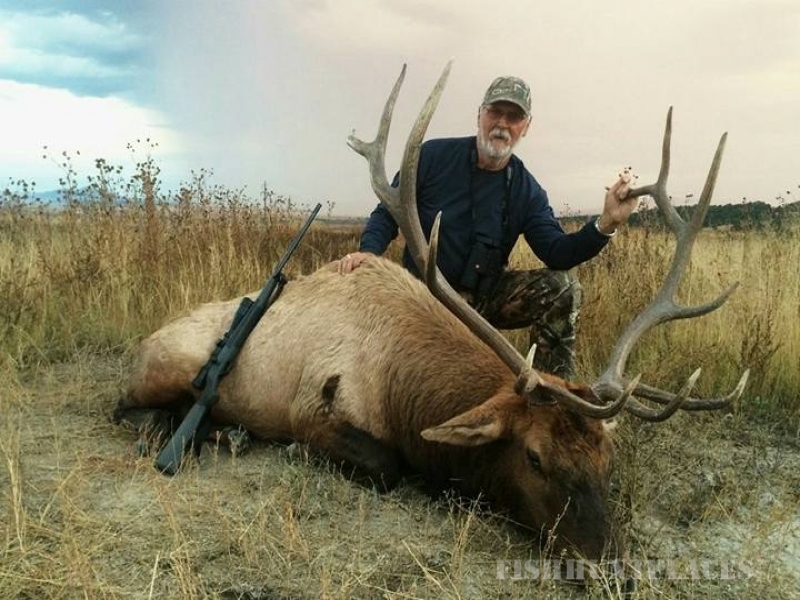 The country that is hunted for elk has been grazed for four months during the winter. Once the cattle are moved, the pasture is rested for new growth during the growing season. 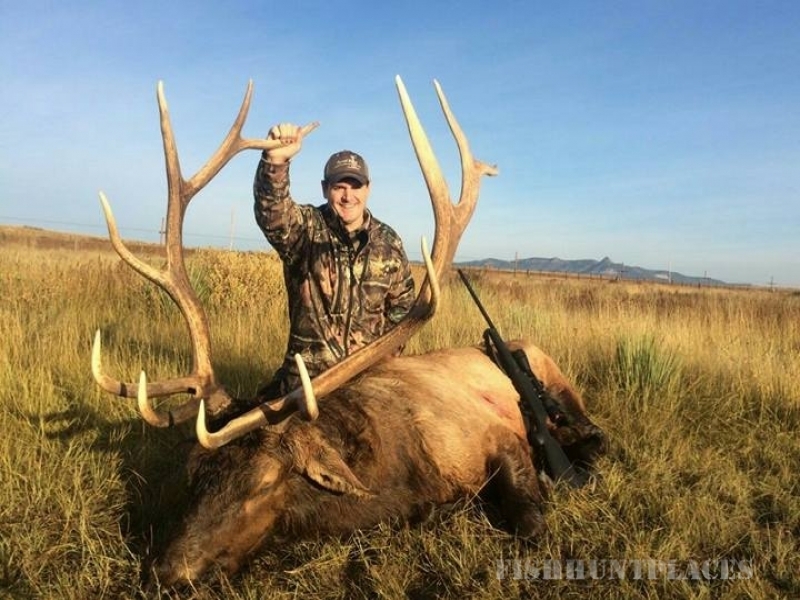 These hunts are offered during the rut so the bulls are in full swing, bugling, fighting and mating. The reasons this success rate can be maintained is that we, the land owner, strictly control access to the 9,000 acres. 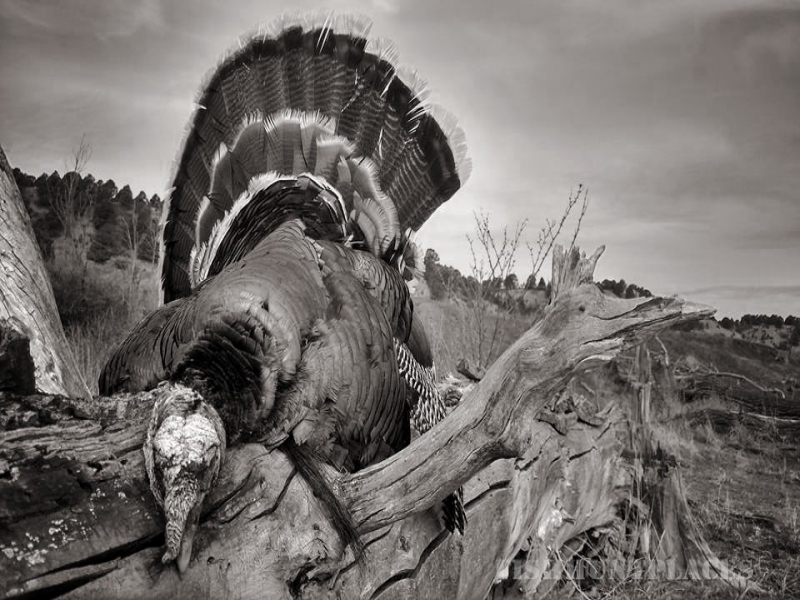 You will not have any competition from other hunters. You will not see trucks or 4 wheelers. The cattle are moved to other parts of the ranch. 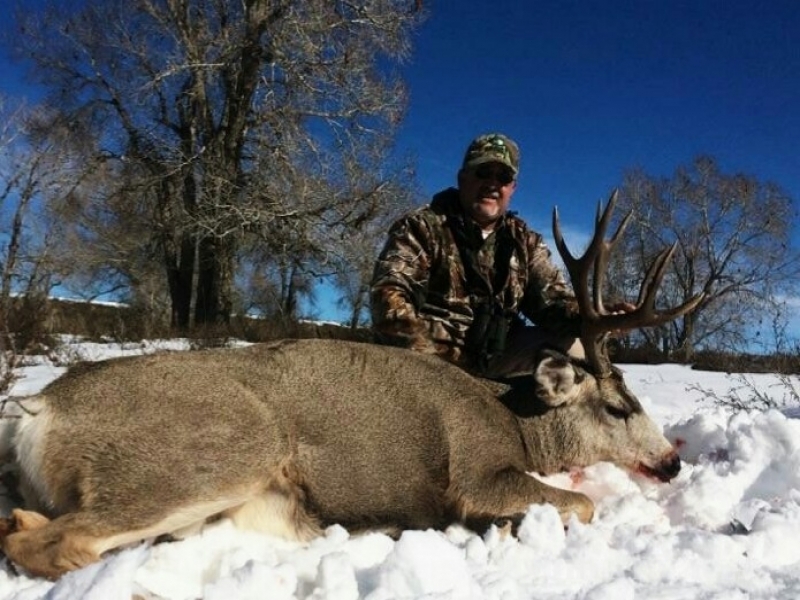 The fair chase spot and stalk method is used when hunting. 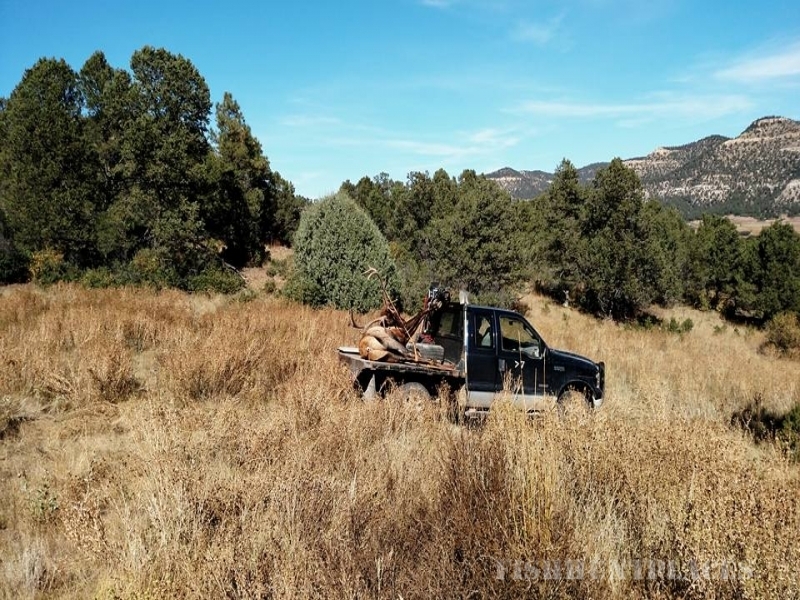 Our grazing techniques and game management--through hunting harvests, predator control and the time of year for hunting--are all designed to help the wildlife feel comfortable. 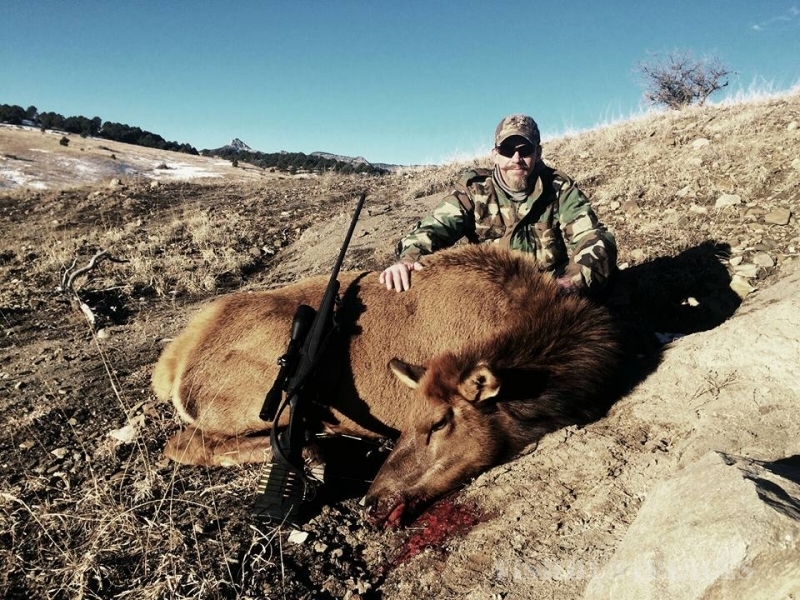 The methods used are low impact; stalking is on foot and usually coordinated, playing the wind and backing out if necessary in order not to move the elk. 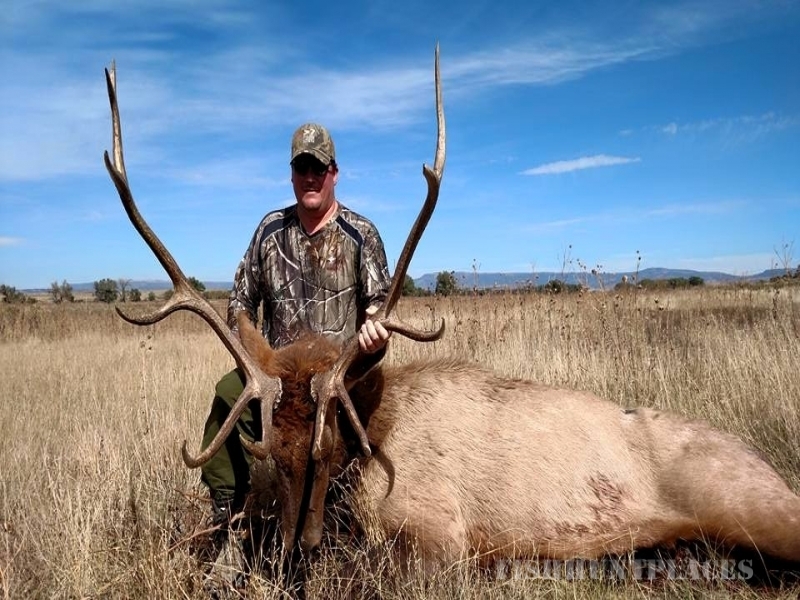 Cattle grazing is done on a high intensity, short duration and rest rotation system which provides an optimal grazing environment for the elk. Three good meals a day, including home baked bread, pies and cakes with a variety of international recipes but mostly southern style cooking. They will be prepared by the V7 cowgirl cooks, Misty, Vivienne and Christy who are all part owners of the ranch. If you have a "meat and potatoes" appetite, you are going to love these meals! The cooks are flexible and with some prior notice, they will be glad to accommodate your needs and tastes. The Lodge has 4 bedrooms capable of sleeping up to 12 adults. There are two bathrooms, each with tub and shower. The kitchen is complete. The living room has a dish TV and a VCR. A CD player is available at your request. Towels, linens and a washer and dryer are provided. 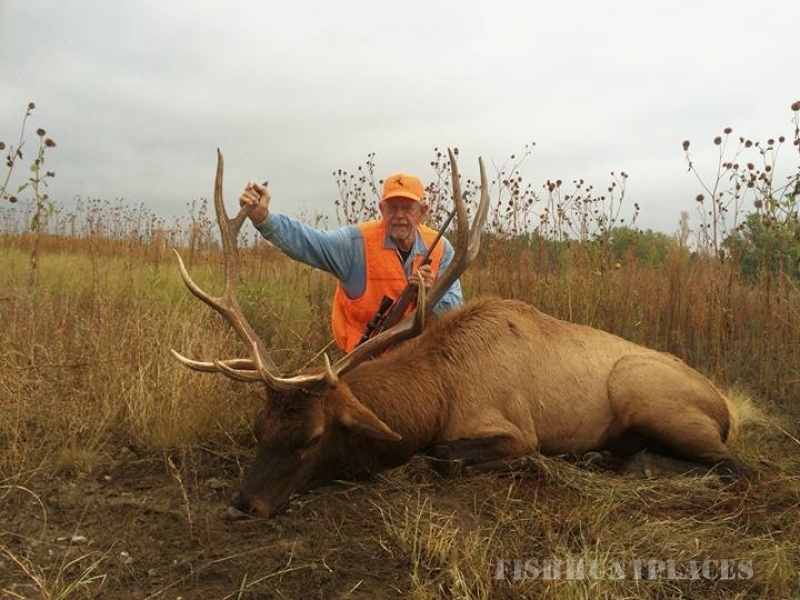 Guides are mostly family members, John with over 35 years experience and Jason with 20 years experience. Guides may include Jim and Pat. 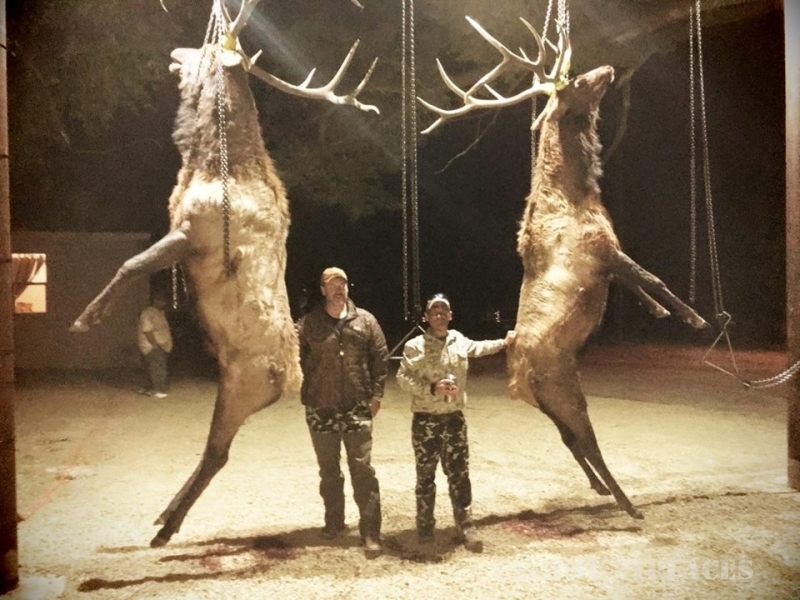 Hunts are guided two on one.